It will seriously be about a week before I can get to the response my friend, but I will drop you a little something as soon as I am able. As you can see, Dragon was found in a burning field, with no memory of who or what he was. Years later, it is discovered that Dragon was once in fact the evil Emperor Kurr, who lead a race of peaceful and nomadic aliens looking for a new home, the Krylans. When he wanted to commit genocide on the people of Earth, he was stopped by two scientists and his memory was erased, and within his memories was implanted five days worth of satellite television broadcasts from our planet. Dragon is a special member of his race with enhanced physical attributes, regenerative/adaptive abilities, and an almost savant like ability in the arts of combat. His offspring have also been shown to have similar attributes. Bear in mind, currently the original Dragon is now dead (after a fairly epic battle), and his son, Malcolm, is now the star of the series. Dragon is actually very creative when it comes to utilizing his environment in combat. More on things like this later. Let's check out some durability and pain tolerance, shall we? Unlike the normal brick type character, he won't just be standing there, trading blows back and forth until someone drops. Facing Dragon in combat is going to be kind of like facing a cross between Thing and Spider-Man. And there we go, just a taste of his physicals, but that should give you enough to work with for a response post. There is still quite a bit of ground to cover, like with his healing factor, aim, combat style and skills...which I promise to bring all of that up in the next post. Alright my friend, I think you have done well in laying out just how formidable of a brick MCU Hulk is. 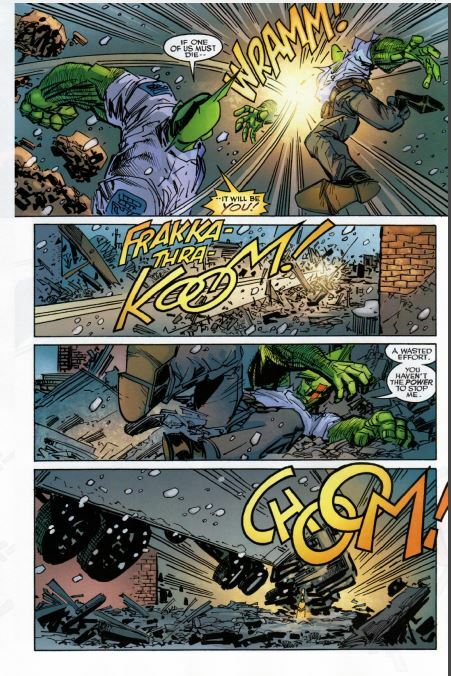 That being said, as I am sure you can see, Dragon is more than up to the task of making even Hulk take a moment to pause and consider even taking him on in combat. I am not saying I have proven a win here, but I think you will have to agree...Dragon is no joke. He's smart, fast, agile, durable, strong, and has a pretty darn insane striking force. I haven't even gotten into his healing factor, combat style and skill...all of which may turn the tables quite a bit. We'll see what you think when I get to it. @defiant_will: Looking good my friend, great intro. This should be fun. @defiant_will: Just start when you are ready. Will be a few days before I can get an intro up and running. Just so we are clear, there were a lot of versions of Aphrodite. So, it should be no surprise that each and every Aphrodite was an improvement on the earlier models. So programming, tech, and the like were improved based on the performance, experiences and so on of the previous versions. Basically, even though I am running a composite Aphrodite, V is more than capable of performing the feats of all of IV and subsequently, the other earlier models, since she is the improved version here. There have been 15 models of Aphrodite, with four of them having been featured in various stories to this point. Of course, my feats for this debate will focus on IV and V.
This was the Aphrodite featured in main Top Cow universe alongside the Witchblade, Darkness, and so on. 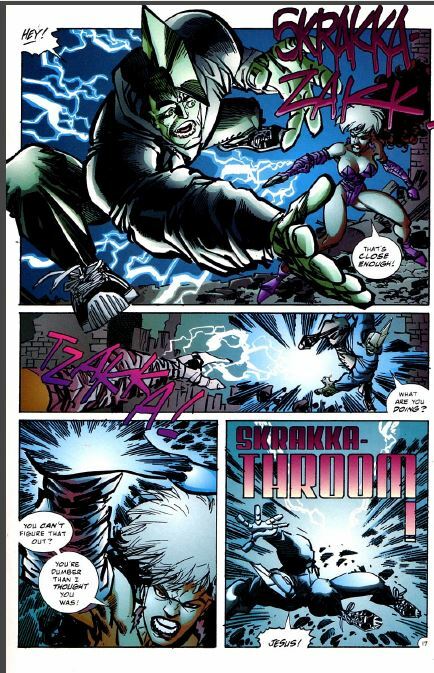 CDI tested the original IV prototype against the Witchblade first, and when that test proved successful, she was later upgraded and sent to collect Jackie Estacado for the Sovereign (IV was successful, although Jackie was partially depowered at the time). After a few more adventures, she is later captured by the Curator, and re-purposed to aid him in bringing the Top Cow artifacts together, which leads to the Rebirth story line for Top Cow. It should be noted that IV was the first mass produced Aphrodite, but the original prototype which was featured in most stories, had a built in weapons system that was powered by the Coin of Solomon. IV was a fully synthetic being, with superhuman attributes and durability. She also has the highest documented healing factor of any of the Aphrodite's. After the final destruction of IV and the rebirth of the universe, we are introduced to Aphrodite V in the Cyber Force books. V was the first biosynthetic hybrid organism, and initially served as a bodyguard for Carin Taylor (Velocity). This was of course before Aphrodite IX meddled in the timeline. Now, there are two versions of Aphrodite V that have been featured in recent stories, with one version gaining some semblance of free will, and escaping the control of CDI as seen in the Aphrodite V mini-series. The other version we have seen in the main Cyber Force books, had her creator's consciousness uploaded into her programming, and has been shown remembering her creator's past. She has shown some resistance to the control of CDI, and looks to be gaining some form of "free will". While she may have eyes, ears, a face, and be able to talk...she relies on technology, sensors, programming...so any ideas about sight, hearing, lifeforce, and so on...throw those out of the window when talking about Aphrodite V.
Aphrodite is pretty much the sole bearer featured for this artifact in the Top Cow tales. While CDI used the coin to aid in a lot of their technology and advancements, we mainly see the coin in the hands and employ of Aphrodite IV and IX. The coin was used to mainly power a built in weapons system, which will be discussed here shortly...so yes, it is mainly going to be featured for the energy projection abilities it provides. Again, not a lot of detail for this, but there is one major thing Aph is going to do here to open things up with. Aph is an assassin, so the stealth game is nothing new to her. And though while I may have picked her with some stealthy type discussions in mind, the make up of my team necessitates her to perform in other functions. The environment and time of day, is one that is suited for stealthy assassin types. That is to say, it is 100% suited for Aph, and of course, more than 100% suited for @floopay's team. That isn't to say Ian isn't without his stealthy options, and Percy, from what I can gather so far, is not the stealthy type. What I think the biggest issue for my team, is in tracking the two super stealthy drow and the human assassin in this environment. Let it be known, with Aph's myriad of sensors, there is no way for your team to hide from her. I will go into detail in future posts, but there is nothing in their tool kits to allow them to remain hidden from her. She just has too many ways to track them with her overly advanced tech. So, she will function as the tracker and lookout for the team. Not to mention, she is going to handle another nifty little function right off the bat, which is to create a nice little clearing for her team, by doing something like this...BOOM. If it is good enough to bust up a building and the local environment, then it is good enough to create my team a decent sized clearing in this wooded area. This gives us an area to fight in with little worry of trees and such in the way, and it greatly reduces the opposing team's stealth options. Percy Jackson was 12 when he discovered he was the son of Poseidon, god of the sea. He embarked on a quest to prevent the Third World War (Olympian style) and has since grown to be the most powerful demigod of the century, being compared to the likes of Hercules himself. He's saved the world a handful of times from gods, titans, and giants (of the god-killing variety). Tartarus, the pit of the Underworld himself, saw the need to directly interfere in a conflict with Percy, something he had never done for the gods. Needless to say, Percy is one hell of a demigod. Until that morning, [Hazel's] brother Nico had been the most powerful demigod she knew... But she knew Nico was more dangerous than Reyna, or Octavian, or maybe even Jason. At first, when she saw him stumbling up the highway with the old lady in his arms, Hazel thought he might be a god in disguise. Even though he was beat up, dirty, and stooped with exhaustion, he'd had an aura of power. This is a statement made by Hazel Levesque, daughter of Pluto (Roman version of Hades). Percy stumbled upon the Roman camp, and Hazel confused Percy for a freaking >god< due to his aura of power. She also knows, and mentions, Nico di Angelo as well as Jason Grace, both sons of Hades and Jupiter (Zeus) respectively. "Percy is the most powerful demigod I've ever met. No offense to you guys, but it's true." This was a statement made by Nico di Angelo, himself a son of Hades. He's talking to Jason (son of Jupiter/Zeus), Hazel (daughter of Pluto/Hades), and the pyrokinetic Leo Valdez (son of Hephaustus). He also happens to know Thalia Grace (daughter of Zeus), and he knows how powerful each of these individuals are, but he still considers Percy the most powerful. To add credence to this, Nico di Angelo is known for traveling to all reaches of the world - and Underworld. He knows plenty of demigods. For this opener, I'll briefly go over Percy's physical stats and skill as well as provide some feats for each category. ""Get in!" I yelled. I uncapped Riptide and slashed the first volley of arrows out of the air"
Specifically notice how he uncapped his sword after the arrows were fired. The second Amazon they met was not so friendly. She was dressed in full armor, blocking the throne-room entrance. She spun her spear with lightning speed, but this time Percy was ready. He drew Riptide and stepped into battle. As the Amazon jabbed at him, he sidestepped, cut her spear shaft in half, and slammed the hilt of his sword against her helmet. In this excerpt from House of Hades (pages 118-119 in my pdf), we see Hazel mount Arion along with Piper and they square off with a giant (humongous) turtle. While it's head is freaking massive (the eyes were described as the size of swimming pools), Arion is a horse that went from Anchorage, Alaska to the San Francisco Bay area in four hours. 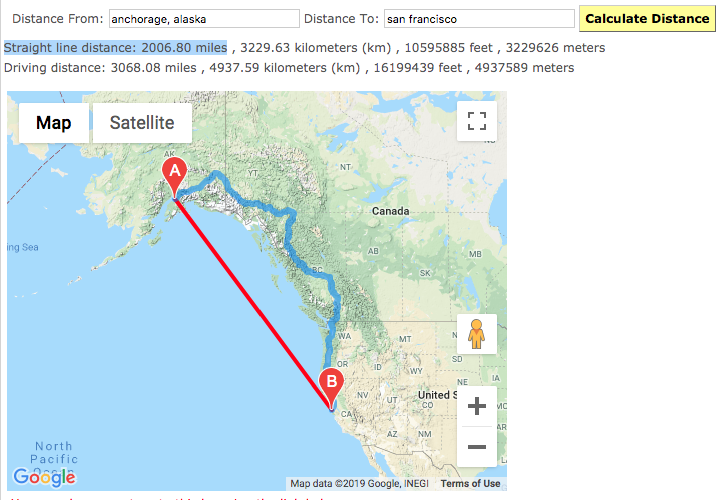 That puts him at around 501.7mph (1)(2) if we assume he travelled in a straight line (it's possible he hugged the coast, but that's speculation on my part). All while carrying a chariot full of enchanted golden metal weapons, armor, helmets, and shields, as well as three people. With Hazel and Piper, that's just two people. He should still be casually going in the hundreds of mph in the instance above, yet both Hazel and Piper have no issues hitting the albeit giant turtle. Hazel hits its head every chance she gets while passing it at speeds far exceeding that of an arrow. Piper actually makes eyeshots. Needless to say, their reactions are pretty decent. To be called "lightning speed" by Hazel is incredibly impressive. Of course the feat itself (Percy's, not Hazel's and Piper's), is up for interpretation on whether it's FTE or not, but I have more evidence for Percy being FTE, which I'll save for later. Here, Percy runs at Porphyrion, the giant king who "towers over" his brethren at 40ft in his weakest form (book 1, this is book 5), grabs the tip of his spear, and forces it into the ground so hard that the momentum makes the giant king flip over. This is a giant that was described by Jason Grace as large, dense, and muscular. Like all giants, he's also wearing celestial bronze (celestial being a fancy word for enchanted) armor. His spear is likely about as tall as him, if not more so. As such, causing so much momentum that he flips over is insane. However, it's not like strength will be the deciding factor in fights like this. It matters more how hard Percy can swing his sword, and he can swing it pretty hard. As they ran past one of the black trees, he slashed his sword across the trunk. He heard it topple, followed by the satisfying crunch of several dozen arai as they were squashed flat. While trapped in Tartarus - the pit of the Underworld whose air is literally so poisonous to demigods, that multiple days after exiting Tartarus, Percy was still coughing from its effects - Percy slashes a tree with a single sword stroke. In desperation I uncapped Riptide and slashed at the fountain, cleaving it in two. Salt water spilled everywhere, and the great stone font crashed to the floor in pieces. Percy has also shown the capacity to slice clean through stone in a single slash. His blows will certainly be dealing damage, whether it be direct shots or through armor. I tried to dodge, but the javelin hit me caught me in the chest and sent me flying like a rag doll. I slammed into the ground, my head spinning. I looked up and found I was at the feet of Artemis, still straining under the weight of the sky." 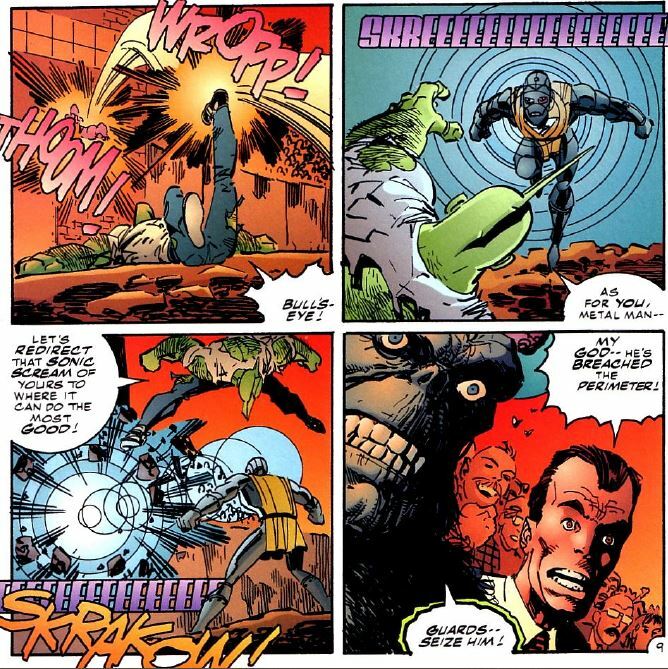 Percy takes a blow from Atlas's javelin twice in a single page. Atlas has feats of, in the same fight, opening fissures in the mountain by slamming his javelin downwards (not that he hit Percy with that force, but still very impressive) and casually one-shotting Zoe with a backhand, not even his javelin (Zoe was poisoned, but the effects didn't show until after the hit). Now all demigods are at the very least peak human, but the Hunters of Artemis are far more active than your usual demigods. Because of this, their physical condition would logically be higher than a regular demigod. She's also the daughter of a titan, not a god, and titans are generally superior to gods due to being older. However, to make these two all the more impressive is that Percy then proceeded to literally lift up the sky single-handedly which although not as impressive as it sounds (it's more willpower related) still adds more to the feats. Even then, eyeing my opponent's opener, I don't think blunt force is going be a big deal here. I had a few scratches, but nothing major. I pulled a feather arrow out of my arm. It hadn't gone in very deep. As long as it was not poison I would be fine. In a tie-in (canon/written by same writer) slash short story, Percy and Clarisse are being shot at by a small army of arrow-throwing birds, and Percy gets hit. While it didn't go very deep, he pulls it out without a second thought. I want to save the main play for the next post, but trust me when I tell you'll struggle to put Percy down unless you skill him. After having his memory erased (and it's still erased above), the Greek demigod Percy lands in the Roman demigod camp, Camp Jupiter. During the war games, basically just a simulation of a siege, Percy proves himself a "demon" in combat because his style was unprecedented to the Romans. The Romans train every day for years to fight as a group, yet when faced up against the Greek demigod, they seem to stand no chance. Conversely, it stands to reason that Percy had also never gone up against their style of fighting either, but he still cleaned house. Moving on, he does have a couple accolades, just not of the variety I mentioned earlier. In Sea of Monsters after only a few months of training he was called the greatest swordsman in the last hundreds of years bar one, Luke Castellan (page 69). This is insanely impressive considering Luke at that point had trained for five years, and was himself known as the best swordsman in the last three hundred years. At around this time during the Sea of Monsters, Percy is seen sparring entire cabins of demigods (between one and two dozen) and coming out victorious. 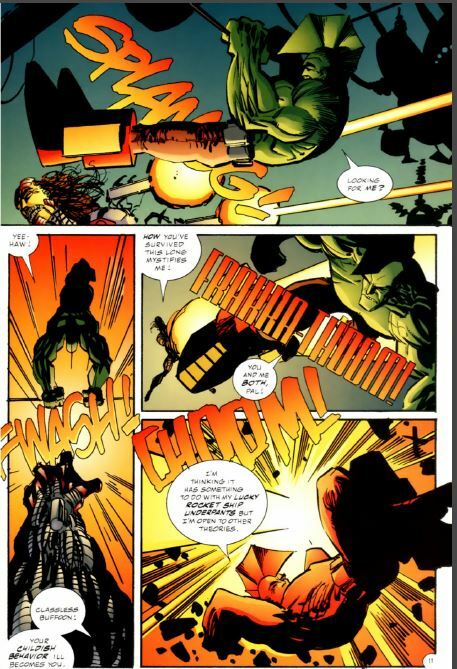 He also routinely takes on (to varying degrees of effectiveness) gods, titans, and giants in melee combat. All of these have centuries of experience fighting battles, and many often specialize in combat and are regarded as some of the greatest warriors of all time. I'll get more into all of this in my next post, though. Like with the skill section above, I'm going to attempt to briefly cover this so I can go into much more detail later on. For this section, I'll use a bullet point style formatting in order to cover more ground quickly, even though there isn't much to cover. Hydrokinesis - Percy, as the son of Poseidon, has the power to control water. It's not limited to just water either, he's controlled vapors and poisons in the past (kind of out of character though). His raw power is insane, reaching into the lowest end of mid tier, and his versatility is pretty great too. One of the most prominent things Percy does is create miniature hurricanes. He can make small hurricanes (and when I say small, I mean like the size of a cul-de-sac) around an area, or he can create a personal hurricane around himself in order to fight enemies. You'll see in my next post that there's far more oomph to Percy's powers than what I've described. One last thing to mention: while it may seem like a theme throughout my opponent's team and a bit throughout ours, Percy uses no magic whatsoever. All of his abilities are innate. It might still be too soon to draw any definitive conclusions, but I do believe Percy has what it takes to contend here. Eyeballing it, he seems to outstat the opposing team, if marginally, and is more than skilled enough to keep up. His powers make him extremely dangerous, especially in an environment such as this one, with the sheer amount of water around. I believe that, in terms of raw power, Percy will go damn near unmatched in this battle. His versatility - which I've yet to showcase - is only going to add to my notion. He might not have as many tricks up his sleeve as someone like Jarlaxle, but he can more than keep up. As hinted at repeatedly throughout this post, my next post will provide much more depth on Percy. For now, this is a good intro as to what he can do. Most likely Max should take this one. @floopay: Just a heads up, I am the hold up here. I have been laid up in bed the past days with a 100 to 102 fever, cough, chills, body aches...basically the works. Still recovering somewhat, but we will try and get on track and get our stuff up this week my friend.